In August 2005, Hurricane Katrina struck New Orleans, flooding 80% of the city and essentially destroying the public school system. 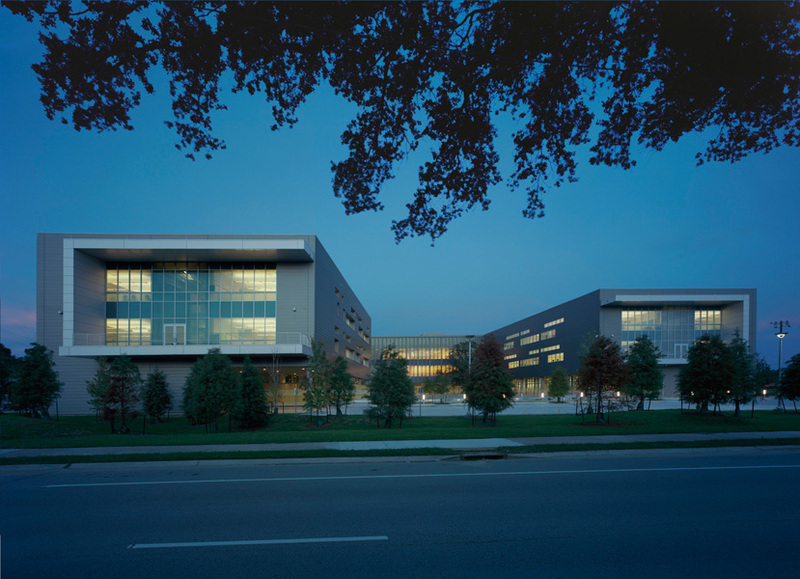 This new high school for the Louisiana Department of Education Recovery School District was part of a post-Katrina “quick start” construction program to accelerate the replacement of five damaged schools within an extremely aggressive timeline (6 months for design and 20 months for construction) while a new comprehensive masterplan for the New Orleans school system was underway. L.B. 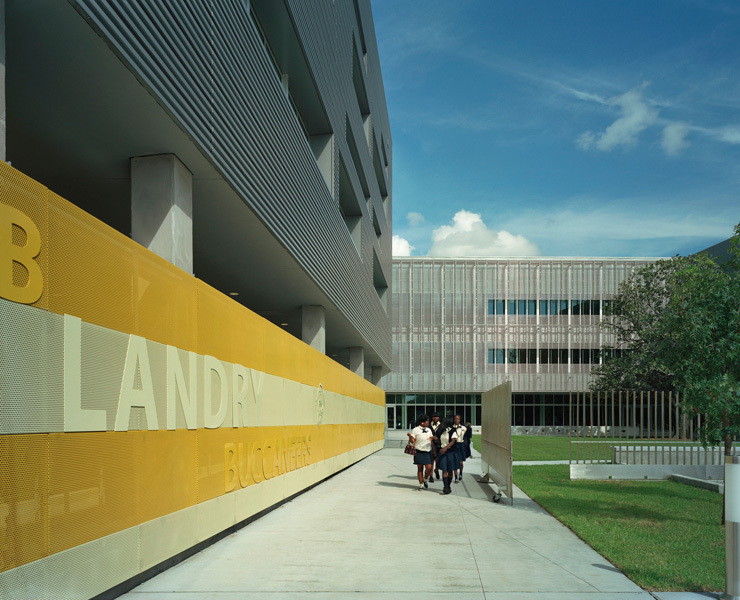 Landry High School occupies an important place in the city’s history – part of the reason for its accelerated rebuilding. 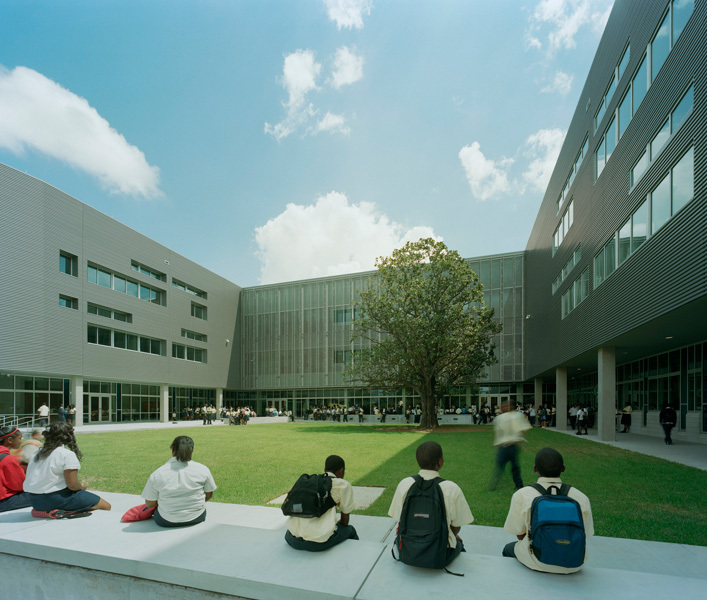 The school was founded in 1938 as the first public high school on the west bank of the city that African-American residents could attend and only the second black high school established in Orleans Parish. 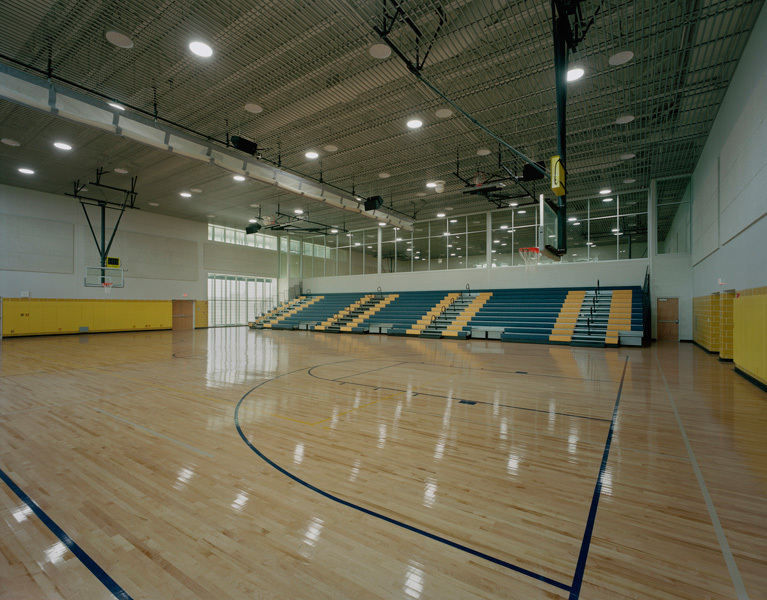 The 236,000 square foot building serves a student population of over 900 students and contains a 1000-seat competition gymnasium, a 250-seat auxiliary gym and a 650-seat auditorium. Additional performing arts spaces include classroom and rehearsal spaces for dance, choir, band and art as well as a black box theatre. 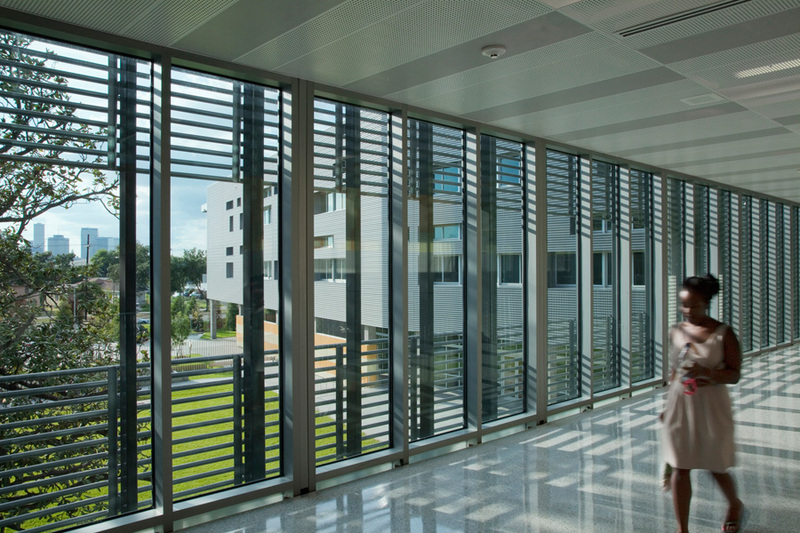 The design establishes academic ‘houses’ for each grade level provided within two classroom wings. 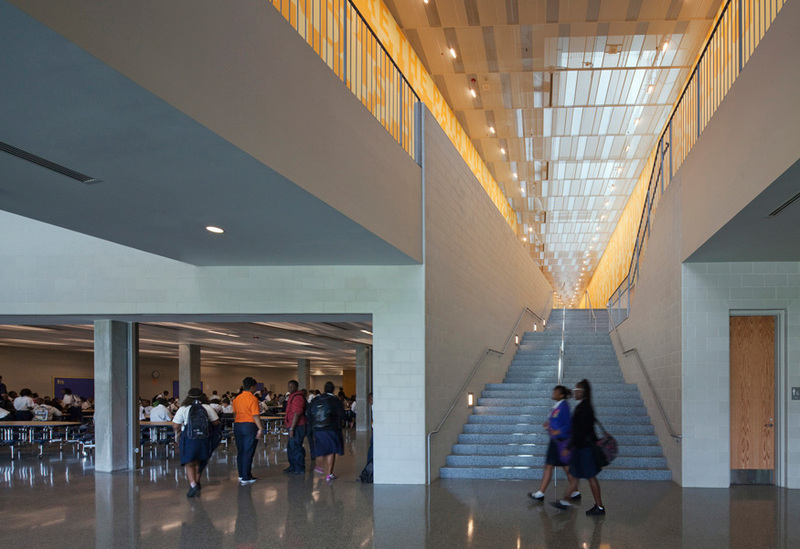 The organization of these wings creates a central courtyard for outdoor gatherings space focused around a mature magnolia tree that existed on the site of the previous school. The program also includes a media center/library as well as a health clinic, both of which are designed to provide after hours access to the general public for use as a community resource. 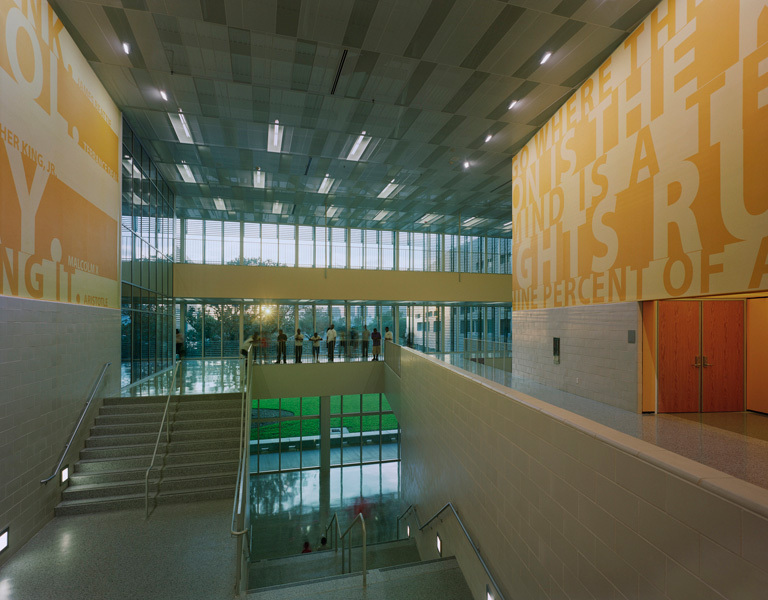 The building incorporates numerous sustainable design strategies, with a LEED for Schools Silver certification anticipated. 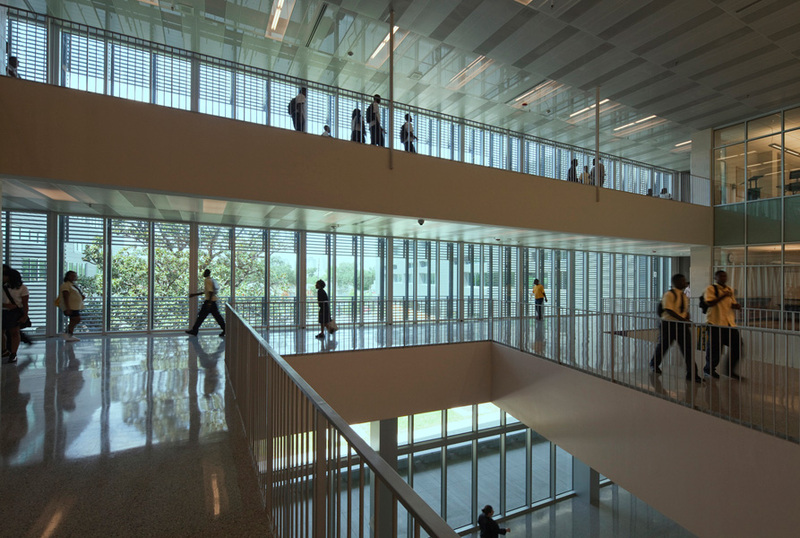 Many of these, including a stormwater management system and photovoltaic energy harvesting system, were designed as highly visible, didactic elements of the project for use as teaching tools for faculty and students.